So, you have closed the pool already but you are not sure what to do with your hot tub. You know that you need to protect it during the winter and we have a great resource to share with you! This is a great article we found published on one of our favorite resources for sharing information from at swimuniversity.com. Winter is coming and you aren’t sure what you should do with your hot tub. One thing is for sure, however. You can’t do anything. You must decide if you want to close your hot tub for the winter or keep it running so you can enjoy it during the winter. Depending on what you decide, there are several steps you need to take to protect your hot tub during the winter so the cold doesn’t damage your hot tub which often results in very costly repairs. Many people particularly enjoy using their hot tub during the cold winter months as there is nothing more exhilarating than sitting in a nice warm hot tub while the snow falls around you. However, you must understand that when it is colder outside, your hot tub will take longer to heat up meaning your energy bills will rise. If you don’t plan on using your hot tub in the winter, you will want to be sure you properly drain it before it gets too cold. Most hot tub damage that occurs during the cold months is caused by freezing damage due to improper draining/winterizing of your hot tub. This damage can end up costing you far more than simply running it during the winter months. If you do elect to keep using your hot tub during the winter months, there are a few things you should do to prepare for the cold weather. Before it gets too cold, go ahead and do a complete water change on your hot tub and then clean it thoroughly. Trying to change the water when it is really cold outside can be quite difficult and, as you can probably image, is no fun at all. Changing the water and cleaning your hot tub before the cold of winter sets in can help you ensure your hot tub is in the best possible working order so you don’t have to spend a lot of time outdoors caring for your hot tub. 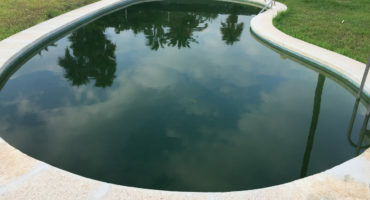 Most of your temperature losses will occur at the surface of the water. Before winter hits, check your hot tub cover carefully and make sure that it is in tip top shape. If not, repair it or replace it. If you don’t, you could end up spending way more than you bargained for on your energy bills. On top of a high-quality cover for your hot tub, a floating thermal blanket that sits at the top of the water can be a great way to reduce your energy costs during the winter months. Periodically you should check your water levels in your hot tub over the winter especially if you haven’t used it for a few weeks. If the water level drops too low your pump and heater could shut down resulting in frozen water and possible damage to your hot tub. If you decide that you won’t spend much time in your hot tub over the winter, you can save quite a bit of money by not heating and circulating the water. However, you can’t just close the cover and forget about it. You need to take the time to properly drain and dry out your hot tub before it gets too cold. If you don’t, you could end up with an expensive repair in the spring. First, you must flush your system and drain all the water from your hot tub. During the cold winter months, you can’t have water in the hot tub that is not circulating and heated as it will freeze and could damage your tub or the plumbing. If your hot tub or spa has an air blower, you need to take the time to drain it of water as well. Shut off the heater and run the blower for about 30 seconds to push all the water from the system and dry it out. After you have drained your hot tub, there could still be water in many of the plumbing fittings as well. Loosen these fittings and allow all the water to drain out of them. If you have a gas heater, shut it down per your manufacturer’s instructions and drain the water from any valves and fittings to be sure it is dry. Mop up any water that has been left behind in the hot tub making sure that the inside is completely dry. Once it has been dried, consider giving it a good cleaning before putting your cover on and locking it for the winter as it will make opening the hot tub in the spring much easier. When fall begins to set in you need to begin thinking about what you want to do with your hot tub over the winter. Whether you decide to let it run so you can use it on those cold nights or if you prefer to close it down for the winter, there are steps you must take to be sure it continues to operate in the cold weather or remains safe from the elements. 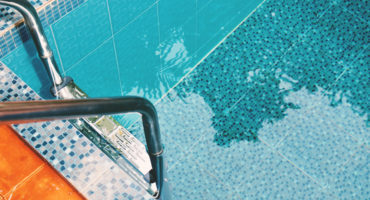 Following these steps will help you make sure your hot tub remains in perfect working order and can help you avoid damage that could lead to expensive repairs in the spring. If you find that you are in need of any hot tub products or chemicals be sure to contact us today! Or feel free to shop here!